When an individual becomes suddenly and seriously ill or injured, chances are that medical insurance will not cover the full cost of diagnosis and treatment. 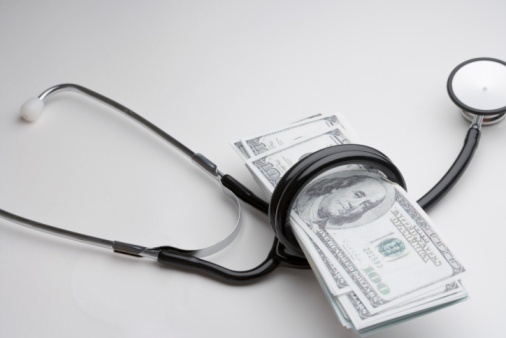 In fact, even Americans with excellent medical coverage often struggle mightily with medical bills in the wake of an unexpected severe injury or illness. As a result, a staggering number of Americans cannot pay their medical bills in full, on time. According to the Centers for Disease Control and Prevention (CDC), nearly one in five Americans struggled to pay medical bills in 2012 alone. This statistic equates to more than 54 million patients. Oftentimes, when patients cannot pay their bills in full and on time, these bills go to collections. According to the Commonwealth Fund, approximately 41 million Americans were notified by collections agencies that they had medical bills specifically in collections during 2012. In other cases, bills can go into collections without the patient even being notified of the past due nature of the bill in question. Of the 41 million people contacted by collections agencies in 2012 about past due medical bills, approximately seven million insisted that the affected bills were in collections due to some kind of billing error. In order to keep bills out of collections whenever possible, patients should respond to billing notices, even if they cannot pay those bills in full right away. Communication is generally key to formulating a payment plan, disputing billing errors and keeping medical bills out of collections. When medical bills do go into collections, you should dispute any illegitimate charges. If you can negotiate a payment plan to get the bills out of collections quickly, it is generally a good idea to do so. However, if your medical bills remain overwhelming, please contact an experienced bankruptcy attorney to explore your debt relief options. Source: Los Angeles Times, "How to stop medical bills from going to a collection agency"